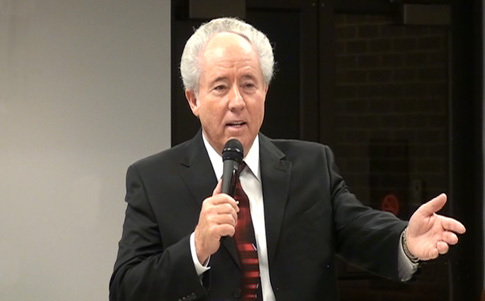 "The Glory of the Father of Jesus Christ"
Joel Hemphill brings to an audience at Guthrie Grove Church of God in South Carolina an excursion into the Scriptural theme of the glory of God. Joel gives "Chapter and Verse" regarding the absolute uniqueness of God's glory. He also speaks of the glory that God has given his son Jesus Christ. 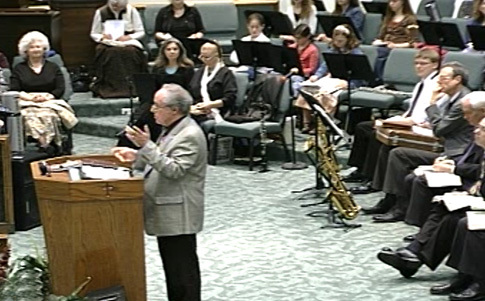 Joel Hemphill teaches "The glory of Jesus is granted to him by God himself. However, no one "grants" God his glory. God's glory is inherent and supreme." You will also enjoy Joel and LaBreeska Hemphill's singing; good humor at the beginning of this exceptional Biblical presentation. "Removing Greek Philosophy From Christianity"
Joel Hemphill brings us a presentation regarding the influences of Greek philosophy on post-biblical Christian doctrine and thought. Presented at a Bible Conference in Atlanta this is a must see for Christians of all backgrounds. In this presentation Joel Hemphill gives us a sketch of his upcoming book which is devoted to the same subject. 21st Century Reformation Online will keep our viewers apprised as to when the book will be available. 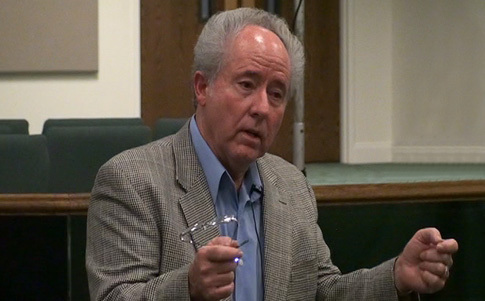 In a short but incisive presentation, Joel Hemphill talks about the essential problems that Christianity faces today. Joel goes on to provide both the reasons and the solutions to our problems. Above all, we must know clearly who our God is. We must know clearly who Jesus is. Joel Hemphill in “Who is the Creator?” takes up the matter of: Who created the heavens and the earth? Some have mistakenly thought that Jesus was the creator in Genesis. Joel shows from the Bible that the Father was the sole creator. Hemphill tells us that Jesus’ role in creation was to redeem it back to God. "God's Word - Our Plumb Line"
Joel Hemphill in his own unique fashion brings us a Scriptural presentation about the importance of God's word. Joel tells us that the word of God is our "plumb line" without which we are left to hopeless confusion. God's word is God's will for humanity. To be successful as a Christian, Joel Hemphill tells us that we must rely on God's word as our guide. Without it, how can we know what we are believing and doing is what God really desires of us? You will be entertained and challenged by "God' Word - Our Plumb Line." Joel Hemphill brings us a beautiful exposition of seeing God the Father in the scriputres. There is a clear distinction between the Father's glory and the glory of our Lord Jesus Christ. 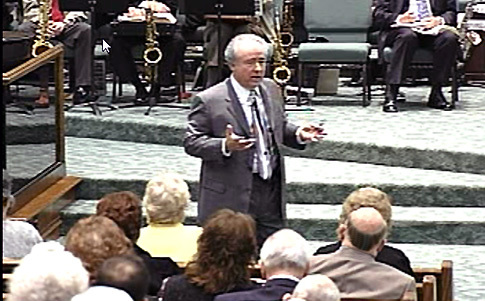 Hemphill tells his audience that "Jesus is our Savior, our Redeemer and soon coming king but his Father is my God." He goes on to say "To do right by my Lord Jesus I must do right by his Father. To do right by Jesus, I must serve the God of Jesus." In this session, Joel Hemphill, brings amazing clarity to the issues of the identity of Jesus Christ and God. Joel Hemphill brings us yet another enjoyable and powerful Scriptural presentation about God as Father. At a conference in east Tennessee, Joel relates to the audience his journey to his One God faith. He speaks of his growing up as a respected minister's son in Louisiana and the importance of a father in the life of his children. Hemphill then tells us that the role of God as our Father is irreplaceable in our lives. This is Joel Hemphill at his best. "What Kept Jesus from Sinning?" Joel Hemphill does a masterful job of addressing the question: "What Kept Jesus from Sinning?" Jesus did not sin. Was he able to resist sin because he was a God-man? An Angel-man? For a definitive – scriptural – answer to this question, listen to this clear presentation. Jesus has a God! Joel Hemphill gives us an extraordinary presentation about the God of Jesus Christ. 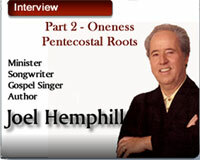 Hemphill tells us that Jesus is not God – but in fact worships God. Joel Hemphill tells us that we should serve the same God that Jesus serves. This is a strong – very Scriptural presentation. 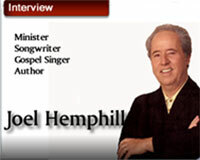 J. Dan Gill interviews minister and gospel music legend Joel Hemphill in Honolulu, Hawaii. In today's interview, Joel Hemphill discusses the Father's glory and contrasts it with the glory that he has given to his only begotten human son Jesus Christ. Hemphill tells us that God is not granted his glory by anyone. Jesus, however, is given his glory by God. The subject of this interview is drawn from the book "To God be the Glory."